Thanks to Call of Duty and Skylanders, Activision made even more money in 2012 than it expected. Say what you will about franchise fatigue and the perils of annual sequelization, but it's a strategy that seems to be working for Activision. The company reported revenues of $1.77 billion for the fourth quarter of the 2012 calendar year, handily beating the previous year's numbers and its prior guidance for the quarter of $1.49 billion. For the full year, Activision $4.86 billion, an increase of more than $100 million over 2011. The company's success was driven by the usual suspects. Call of Duty: Black Ops 2 was the number-one selling game in dollars across all platforms in the U.S. and Europe, while Modern Warfare 3, despite being a 2011 release, clocked in at number nine. Blizzard Entertainment had huge hits with Diablo 3 and World of Warcraft: Mists of Pandaria, and Skylanders Giants was the best-selling kids title in dollars over the holiday quarter in both North America and Europe. 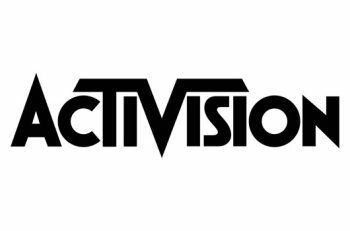 Activision Blizzard also reported better-than-ever digital revenues for the year and was the number-one "third-party interactive entertainment Western digital publisher," according to the company's internal estimates. "We are very pleased to report that Activision Blizzard delivered the best performance in its history," CEO Bobby Kotick said. "As we look to 2013, we will continue to invest in our established franchises, as well as several new properties. We expect these investments to drive our growth over the long term and to enable us to deliver returns to our shareholders in the years to come." In other words, it ain't broke and he has no intention of fixing it. Kotick did acknowledge that the company will likely slump a bit in 2013, however, "due to a challenged global economy, the ongoing console transition and a difficult year-over-year comparison because of Blizzard's record-shattering Diablo III success in 2012."